The culinary world’s favorite enfant terrible stopped by Jimmy Kimmel Live! yesterday to promote the 15th(!) season of Hell’s Kitchen, but that’s not important. The important thing is that he tried Girl Scout cookies for the first time, after having avoided them in his entire time in the United States. Spoiler alert: He hated them. After assessing them visually as “dog biscuits,” he reluctantly described the peanut butter chocolate Tagalongs as “okay.” He found the sweet, coconut-y caramel-chocolate Samoas as “a bit weird,” and promptly spit them out. And after his first bite of the hallowed Thin Mint, he said, “That’s like a cheap After Eight dinner mint.” He spit that one out too, probably to the chagrin of the entire country. 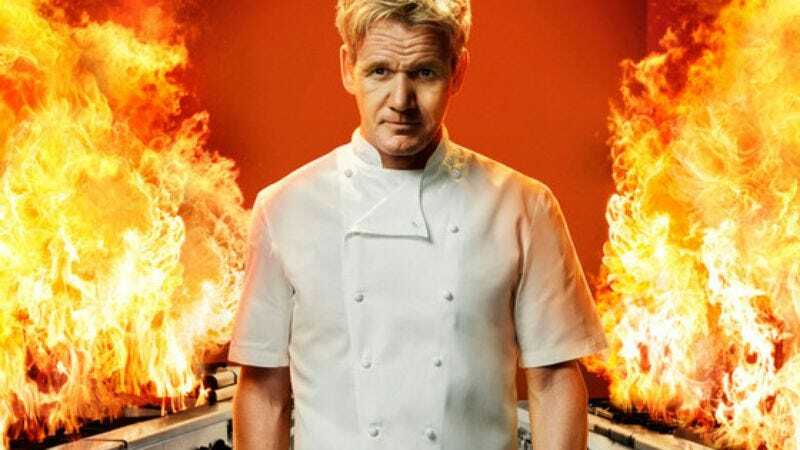 Ramsay got his start in cooking after sustaining injuries during his short-lived soccer career, and has amassed 16 Michelin stars so far for his various restaurants across the world. During his time as a chef, he’s entered the television arena with shows like Gordon Ramsay’s Kitchen Nightmares (of which there was an American spinoff, Kitchen Nightmares) and the long-running Hell’s Kitchen reality cooking show. And after this latest cooking and tasting experience, he’s concluded that he hates Girl Scout cookies.